CARFAX 1-Owner, ONLY 52,049 Miles! PRICED TO MOVE $900 below Kelley Blue Book!, FUEL EFFICIENT 35 MPG Hwy/23 MPG City! Bluetooth READ MORE! Bluetooth Dodge SXT with Header Orange Clearcoat exterior and Black/LT Tungsten interior features a 4 Cylinder Engine with 184 HP at 6250 RPM*. TRANSMISSION: 6-SPEED AUTOMATIC Underbody Aerodynamic Treatment, AutoStick Automatic Transmission, Active Grille Shutters, Tip Start, 8.4" UCONNECT TOUCHSCREEN GROUP 8.4" Touchscreen Display, Remote USB Port, Single Disc Remote CD Player, Glove Box Lamp, ParkView Rear Back-Up Camera, Illuminated I/P Surround, iPod Control, RALLYE APPEARANCE GROUP Leather Wrapped Steering Wheel, Fog Lamps, Dual Rear Exhaust w/Bright Tips, Touring Suspension, Rallye Badge, RALLYE Group, Black Crosshair w/Black Surround, Dual Bright Exhaust Tips, Rear Stabilizer Bar, Wheels: 17 x 7.5 Hyper Black Aluminum, Tires: P225/45R17 AS, SIRIUS SATELLITE RADIO Additional Subscription Fees Apply, For More Info Call 888-539-7474, ENGINE: 2.4L I4 MULTIAIR (STD), RADIO: UCONNECT 8.4 MP3. Remote Trunk Release, Keyless Entry, Steering Wheel Controls, Child Safety Locks, Electronic Stability Control. 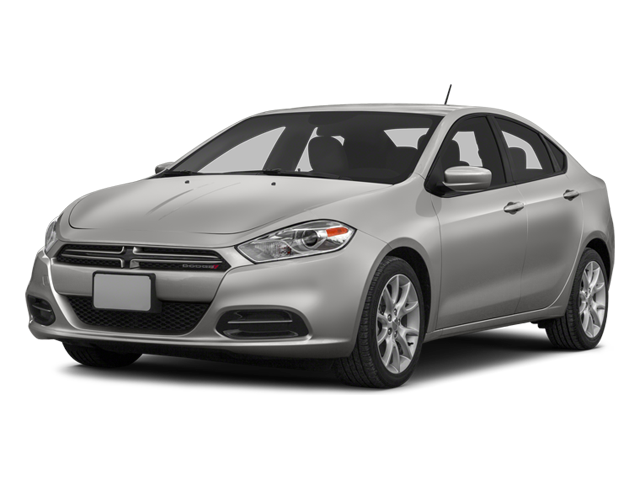 This Dart is priced $900 below Kelley Blue Book. Hello, I would like more information about the 2014 Dodge Dart, stock# X705. Hello, I would like to see more pictures of the 2014 Dodge Dart, stock# X705.